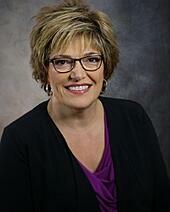 Gina Zielinski is a Talent Management Consultant for MGIC, Mortgage Guaranty Insurance Company. Her focus is on designing and facilitating initiatives for leadership and coworkers that support MGIC’s business strategies. Prosci Change Management Practitioner and continually uses these skills and tools to accelerate change through the Prosci ADKAR® Model. 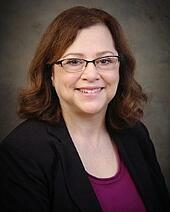 Patti Ulwelling is a Talent Development Specialist at MGIC. Prior to joining MGIC, she led a training team at an investment company, was director of a university continuing education department, and worked in customer service at various companies. She is a graduate of Prosci's Train-the-Trainer program and has been facilitating the Prosci Change Management Program for practitioners and for managers since 2015, as well as other leadership and communication workshops. She expands and applies the skills taught in those programs through various projects for MGIC and volunteer opportunities. Learn more about Gina and Patti’s change management work in the interview below. First, tell me a little more about MGIC. MGIC, the principal subsidiary of MGIC Investment Corporation, is a private mortgage insurer that serves lenders throughout the United States and Puerto Rico. Our strength comes from our history, leadership and employee commitment to providing quality products and best-in-class customer service. What organizational factors needed to be in place for MGIC to be receptive to delivering Prosci training programs internally? As MGIC was emerging from the Great Recession, our senior leaders were aware that the amount and pace of change would be greater than ever before—both to catch up on deferred projects and, most important, to position us in a new competitive age. Their support for growing change management competency throughout the organization was critical to begin our relationship with Prosci and continues to be important for maturing the practice within the company. Which program or programs did you choose to deliver first? Because senior leader support is so critical, it was important to start the training with a Sponsor Briefing. As a result, senior leaders were able to demonstrate their support for offering the three-day practitioner program and one-day manager program. We started by offering the practitioner program to several groups. Those first practitioners became ADKAR Model champions in their respective functional areas. They were selected based on the visibility of the changes they led and the opportunity they had to apply the training right away. We emphasized that we were not adding to their project leadership role, but we were asking them to approach it from a change management lens. What actions have you taken to minimize gaps between knowledge and ability? Participants are carefully selected so they can apply the knowledge right away. Participants are encouraged to share templates with each other. They’re encouraged to discuss what is going well and where they had to further develop and adjust their plans. We provide a formal venue at our Change Agent Network meetings and have a shared online folder. Informal sharing occurs as well. You mentioned having a Change Agent Network. Do you also have a Change Management Office? We’ve chosen not to have a Change Management Office. Right from the beginning, our strategy was to have enough change management practitioners dispersed throughout the organization to prevent a backlog of projects or governance barriers that delay projects from moving forward, but we also knew we needed to sustain those skills and have additional insight on what was and wasn’t working. The Change Agent Network allows us to do those things. Our practitioners bring the change management perspective to every project. They champion change, use the tools and resources, and ask each other for help when needed. We expect all the practitioners to actively participate in the Change Agent Network and to contact us for guidance if needed. We also reinforce with leaders throughout the organization how important their active and visible support is for the change to be successful. How has this effort evolved over the past two years? The Change Agent Network started out as a platform to learn what was going well and where we needed more reinforcement for building the change management competency in the company. More recent Change Agent Network sessions have focused on sharing best practices and lessons learned with each other. We currently have over 100 members/practitioners in the Change Agent Network. How have the trainings impacted your participants? We’re noticing some great things happening with communication. More messages include the ‘why,’ communications are more frequent, and they’re using different modes of communication (not just email). In many cases, change management is integrated with project management sooner, and there is better open dialog between project managers, change managers, sponsors and managers. We’ve even recognized that they’ve created PowerPoint decks with an ADKAR Model lens. And we’ve seen the language used in meetings, in the hallways, and in one-on-one meetings. The practice is becoming embedded in how we do things around here. What tips would you share with Train-the-Trainer graduates preparing to facilitate their first program? Tie the workshops to the organization’s strategies, so it will be supported and sustained, and not seen as “just training.” Have a plan to provide ongoing support to the trainees. Prepare and really know your stuff. The content is there for you and your job is to bring it to life. Listen to what your participants are saying and asking so you can make it relevant to them. You’ve walked in their shoes. You know what it’s like to attend the workshop and then put it into practice. Show them you ‘get it.’ Make it fun! To learn more about advancing your change management skills, check out Prosci’s Train-the-Trainer program.